Businesses often face loss because of inefficiencies and unpredictable circumstances. 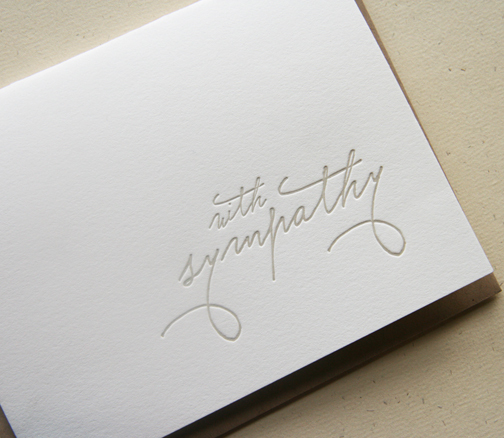 If any of your close friend or family member has faced a huge loss in his business, you will have to write a business sympathy email for him. Even though, the sympathy email will not bring the money back, but it will surely provide your friend a very good support to stay strong and to face the adversary with strength. You can simply start your email with a greeting and then express your sympathies right away. You will have to write everything in a concise yet comprehensive manner. Then, end your email on a compassionate note. How to Send Free SMS Anywhere in the World! Hope you are doing well. I have just heard the painful news about the huge loss which you faced in your business during the last month because of the ongoing civil unrest. I am writing this email to express my deepest sympathies for your loss. I am very sorry that I could not write to you earlier as I was out of station for quite a while for my training programme. So, please accept my humblest apologies for the delay. You have been a great entrepreneur and a magnificent businessman and I am sure that you will soon overcome this loss which happened to you because of an uncontrollable external factor. I know you are an honourable man and will not take any financial help from me, but I still offer you every kind of support from my side. Please take good care of yourself and give my love to your kids. If you need anything from me, just give me a call. I have just seen the tragic news of your business loss because of social unrest in today’s newspaper. So, I am writing this email to express my sympathies for you. I was out of town for the last fifteen days because of which I couldn’t send email you earlier. Please pardon me for that. You have always possessed great skills of doing business and I hope that you will soon overcome this loss.